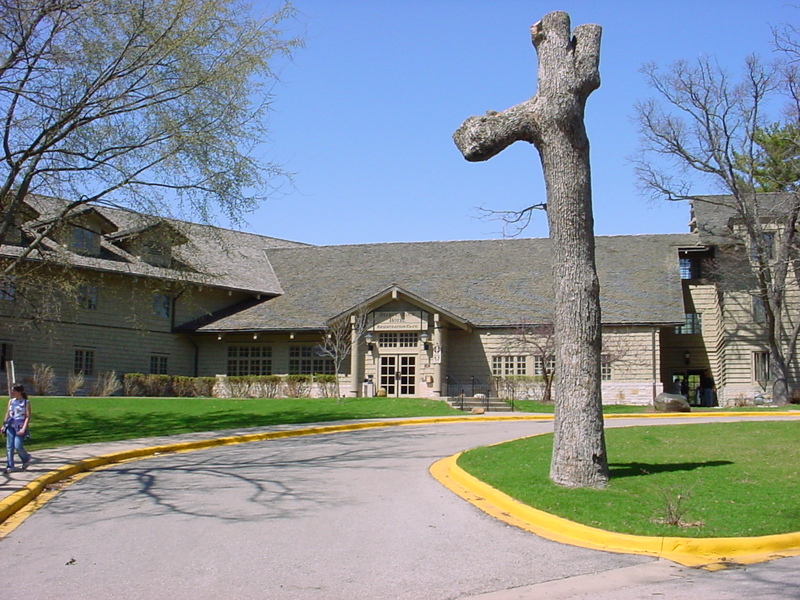 The Starved Rock Lodge dates back to the 1930's (renovated some years ago) and offers over 70 guest rooms, as well as a number of cabins for guests staying over for a few days. As the lodge is situated in the park itself, this is the place you come to if you want to have a relaxed holiday. The hotel rooms are very comfortable, the restaurant is very good and they make a killer margharita in the bar. This hotel reminds you of an ancient lodge in "Frontier Land" and the "Great Room" with the characteristic fire place is a must see. Additional pictures can be found in the pictures section. More information on their website.